“The Nun” is the fifth installment in “The Conjuring Universe” and stars Taissa Farmiga, Bonnie Aarons, and Jonas Bloquet. “The Nun” starts out with the murder and suicide of two nuns. Once the Vatican gets word of this incident, they send in an exorcist (or, as the church likes to call him, the “Miracle Worker”) as well as a young novitiate to investigate and determine if the church in Romania is still holy. Turns out, back in the Medieval ages, the abbey was used as a front for satanism and other occult related activities until the church took over it in order to ensure that any supernatural force would stay at bay. When the two representatives of the catholic church arrive, that’s when things get spooky. I’m a huge fan of all of the films that take place in the “Conjuring” universe (with the exception of the atrocious film “Annabelle”), and “The Nun” is on par with the other “Conjuring,” including the sequel to “Annabelle:” “Annabelle: Creation.” “The Nun’s” greatest strength is its excellent atmospheric tone and grotesque imagery perfectly crafted and executed by director Corin Hardy (“The Hallow”). In every scene, Hardy is able to execute a sense of paranoia and fear of what could be lurking around every corner or behind any window as well as create a few twists along the way and do an astounding job of tying in “The Nun” to the rest of “The Conjuring” films. Taissa Farmiga is able to make the audience care for her role as the young novitiate by giving a charismatic performance and portraying her character’s fear in a very authentic way. 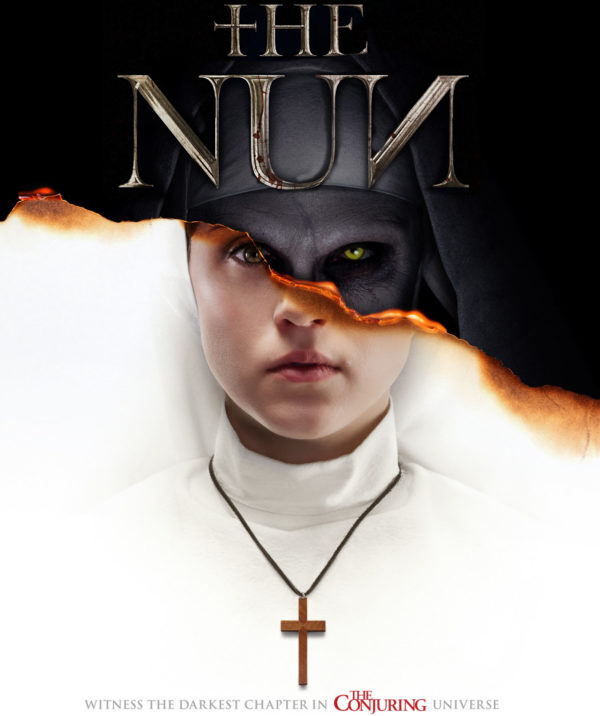 For this, “The Nun” earns 4 ½ out of five stars.